It was the mention of praline on the bag of tea that made me pick it up. It describes the tea as being nutty like a praline truffle, and that appealed to me lot. As much as I love the combination of chocolate and nuts I still wasn’t sure how that would work with tea, but there is only one way to find out. The tea bags are in a re-sealable bag and are in the pyramid style. 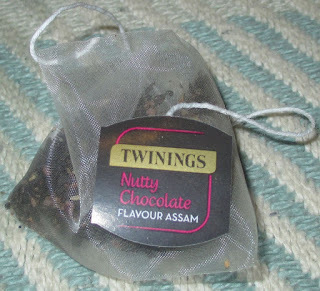 I opened up the pack and the tea bags smelt amazing, they had wonderful rich chocolate and nut tones, and I started to think I’d accidentally purchased some kind of hot chocolate. I popped one of the tea bags into a mug and poured on the hot water, again the aroma was fantastic. I left it to brew for about four minutes, and until the tea was a decent colour. I added a drop of milk and gave it a sip. I think the aroma had got my hopes up, the flavour was really quite mild. 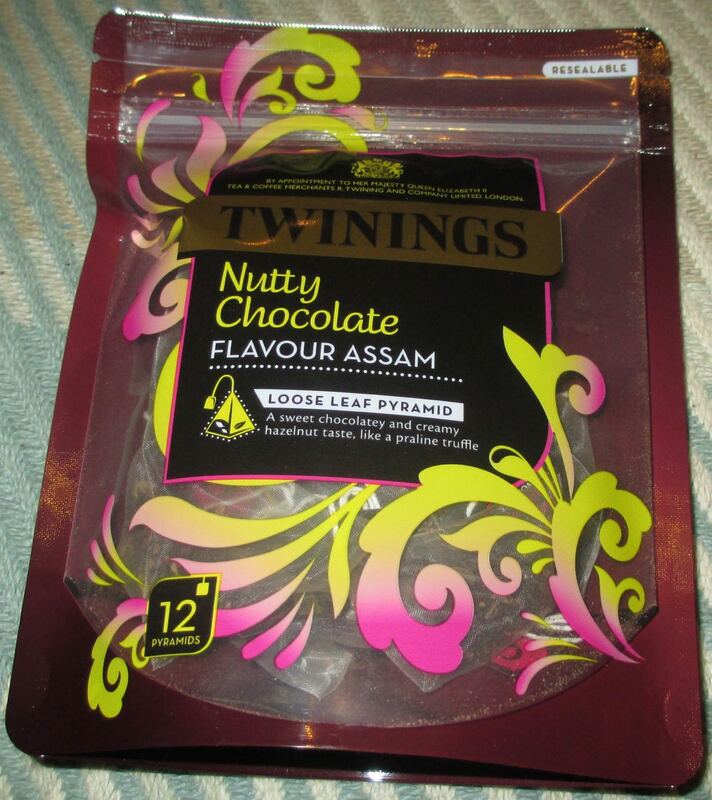 The tea was predominantly a pleasing Assam, with a lovely aftertaste of gentle nut and chocolate. It was a good flavour, but it was far more delicate and subtle than I’d expected. I have to admit I still really enjoyed the mug of tea, and as winter draws in this will be a soothing cupper for the winter months. Was the chocolate flavour mild/could it be tasted?